As a freelancer, you already know that pitching and writing make up the bulk of your workday. However, landing the gig and getting your ideas out in words is only half the battle. Some may think that all writers have perfect grammar and flawless spelling. That couldn’t be further from the truth. At least not on the first try. The real skill is in catching your mistakes. If you were to take a look at any given writers’ first drafts, you’d likely find tons of typos, misspellings, and other assorted grammatical no-no’s. That’s where proofreading comes in. 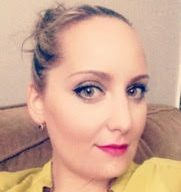 I spoke to members of a mastermind group about how they tackle proofing on a regular basis. 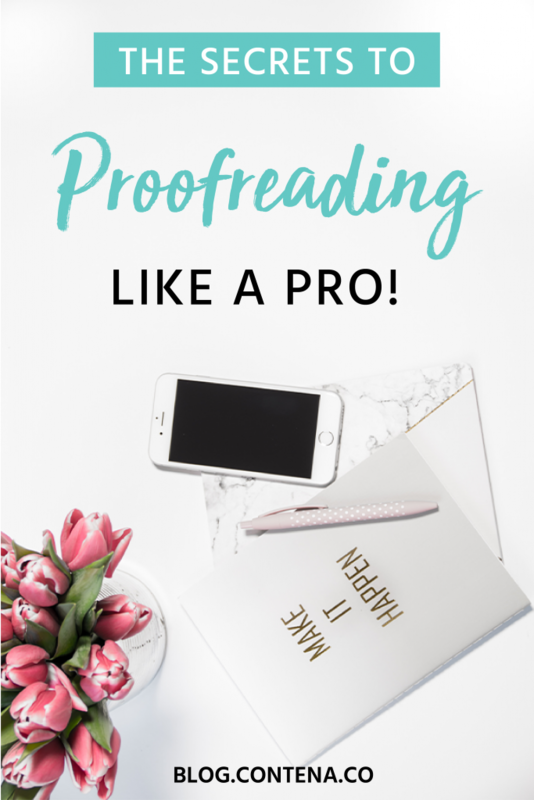 Armed with their actionable advice, I’ve compiled a list of the top tips for perfect proofing. Take it from real-life freelancers and learn to proof like a pro. While both critical to the writing process, proofreading and editing are, in fact, two very different tasks. When you are editing, you’re primarily rewriting to improve flow, cutting fluff, and clarifying for easier understanding. Proofreading is paying attention to grammar, punctuation, and spelling in greater detail. For best results, be sure to both proof and edit. Do each process separately, or you’ll risk missing both grammatical errors as well as stylistic ones. Some freelancers proof while they write. While in theory, a good idea, a thorough proofreading session before submitting is always best practice. Personally, I like to do a light proofread between sections: a quick scan for glaringly obvious mistakes. Once I’ve completed the piece I do a full edit and then settle in for a more in-depth proofreading session. One of the most recommended tips for both editing and proofreading is to work with a hard copy. Unless you’re working on a 500-page novel, printing out your piece is an easy enough way to get a fresh take on your work. Sure, there’s software that allows you to track changes (which can be especially helpful with editing) but working on a hard copy for proofing has its benefits too. Especially true for those of us who are “visual” or “tactile” learners, reading and marking a hard copy will better allow you to see where you’ve made mistakes. Many writers have also suggested using a ruler or piece of paper to cover the rest of the text, forcing your eyes to concentrate line-by-line. Giving yourself some distance from your work is key. Especially when you’ve been working on a piece for a good deal of time, you can begin to become “blind” to it as a whole. Depending on your time constraints, you can choose to dive back in anywhere between a few hours to a day or two later. Taking a break before you proofread or edit can help you quickly identify problems you may have missed the first go around. When proofreading, it’s all about finding and fixing typical mistakes such as typos or grammatical missteps. Among the most common mistakes are issues with homonyms, capitalization, contractions, and punctuation. Once you have a better idea of your most popular “offenders,” you can compile a checklist that you can reference in all future proofing. After all, if you know what to look for, it’s easier to find. As we’ve mentioned, apps and software can be a huge help when it comes to proofing your work. Using software can be a great way to find out what your “common culprits” are, identifying structural issues, and catching typos. However, you should never solely rely on a program to be your be-all-end-all when it comes to checking your work. Apps may not take stylistic choices into consideration and truth be told, theyy just won’t catch all mistakes. For example, if you wrote “its” when you meant “it’s,” an app won’t necessarily know the difference. The word, technically a correctly spelled word, is wrong in its usage. Mistakes such as this won’t get flagged by most programs but are more quickly caught when proofing by hand. A lot of writers also told me they’d fallen prey to autocorrect fails. If you misspell a word, autocorrect may change it to an entirely different word than intended, without you realizing (until you properly proofread that is!). Instead of relying solely on this technology, use it as a preliminary measure before proofing and editing by hand. Just as visual learners benefit from working on a hard copy, auditory learners shine when they listen to their work spoken aloud. More than a few freelancers have touted “speaking out” a piece as an excellent way to catch both editing and proofing concerns. When reading your work out loud, you’ll be able to catch repeated or missing words. As you read, you may also find misspellings or out of place phrases. I like to read my hard copy out loud, circling mistakes as I speak them, so I can easily spot and correct them later. If you’re someone who likes to work in public, say at Starbucks, this may be a bit of a problematic process. It’s probably best to save this step for when you have a private space if only to avoid awkward looks from fellow patrons. The brain is a funny thing. It’s a “code-cracking machine,” always attempting to fill in gaps and find meaning in everyday tasks. In the case of proofreading, this can mean potentially missing critical errors. In short, your brain uses context, what came before or after, to make sense of what you’ve read. According to Marta Kutas, a cognitive neuroscientist, your brain processes all the letters in a word as a whole, rather than individually. This phenomenon can account for why many people can read and interpret a word comprised of correct first and last letters, with jumbled characters in the middle. The same ideas apply to whole paragraphs, particularly if you’ve read them more than once. To break the cycle, try reading backward. In reverse, context is taken out, and you can focus on individual sentences and words. When reading in the intended order, you’re following the flow of the piece. It can be easy enough for your brain to “autocorrect” misspelled or misused words to make the most sense of what you’re reading. When working backward, you force your brain to focus on individual words rather than ideas. As a freelance writer, you’re expected to hand in professional quality work. You are, after all, a professional. True, the proofreading process can be tedious. Consider it a necessary evil. Hopefully, with these tips, it’s a task that just got a bit more manageable. If there’s one thing to remember, it’s that mistakes happen. Typos, misspellings, and other grammatical disasters occur with even the most grammar-centric of writers. Use out these tips to weed out those pesky offenders and get your proofing process from “diasster” to a delight. (See, a good proofing session would have caught that one! ).